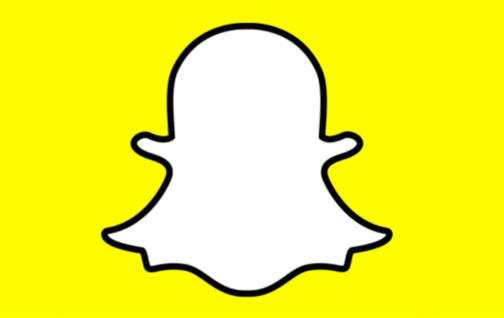 Snap is expanding content from Middle Eastern brands on Snapchat. Strengthening its Discover page, over 30 series from more than 20 Middle East media brands will be launching on Snapchat. 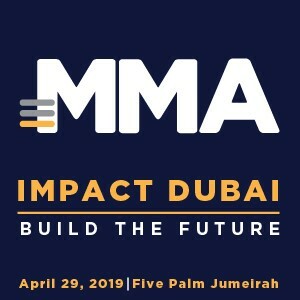 New partners include Dubai Media Inc., Gulf News, Sabq, ITP Media Group and Abu Dhabi Media, who will be bringing Shows, as well as new Publisher Stories to the platform. These partnerships expand the local content already available on Snapchat’s Discover page, where Snapchatters in the region can see content from Al Arabiya, Sayidaty and UTURN among others. TV networks and entertainment studios are reimagining series for Snapchat, with shows across entertainment, sport and food, from Scoop with Raya from MBC to Tareq Show from Rotana Media Group; Fatafeat from Discovery as well as a Publisher Story from Vice Arabia. Content has been cut in the vertical, full screen format. Each show averages five minutes in length, has a clear narrative, and is hyper-visual with motion graphics, split screens and quick cuts. Discover launched in January 2015 with 18 brand partners producing Publisher Stories; local content first arrived in the region in May 2017, with seven partners, increasing to nine in the same year. Snapchat informs that the time spent on shows on Snapchat globally has more than tripled since the beginning of the year. In Q3 2018, 21 shows in Discover reached a monthly active audience of over 10 million viewers. “The Middle East is a very engaged content market for Snap – we saw a 54% increase in time spent in Discover from April to September of this year. From the sneak peek we’ve had of these shows, I have no doubt Snapchatters are going to love them,” commented Rami Saad, Head of International Content Partnerships at Snap. The 20 new partners are: 7awi, Abu Dhabi Media (ADM), Al Aan TV, Al Arabiya, Discovery Inc., Dubai Media Inc. (DMI), Goal.com / Perform Group, Gulf News, Hia Magazine, ITP Media Group, Kooora, Loolia, Lovin Dubai, MBC Group, Online Lifestyle Network FZLLC, Rotana Media Group, Step Group, Trend For Digital Communication, UTURN, Vice Arabia. “We are excited to be expanding our collaboration with Snapchat on Snapchat Discover. Our existing engagement has yielded amazing results and interests for our audience and for 7awi as a publisher. We are thrilled to replicate the success of the Layalina Discover channel and cherish our strong relationship with Snapchat. Ra2ej will focus on entertainment content and will cater to both, the male and female audience. We look forward to playing a bigger part in developing premium Arabic content for the region,” said Anas Abbar, Chief Executive Officer, 7awi. “As Arabia’s first and most-loved food brand, all of us at Fatafeat are incredibly excited to join forces with Snap in the Middle East, bringing the best of Fatafeat’s traditional recipes, inspirational culinary content and world-class production values to the platform and its engaged community of Snapchatters across the region,” remarked Henry Windridge, Head of Brand, Discovery Inc.
“At Gulf News we are delighted to be partners with Snap’s launch of Stories in this region. Snap’s commitment to publishers like us provide an exciting platform. This new format is an important step in reaching new audiences and bringing to life important issues and insight to local and global current affairs. As the UAE’s leading English-speaking newspaper, News Explained and Business Explained are two shows that demonstrate our commitment to providing content that matters to our readers on whatever platform they are using,” said Jonathan Richards, Group Digital Strategy Director, Gulf News. “We are excited about this partnership with Snap, as it fits naturally with our vision and strategy of creating unique content in the format our consumers require. We expect the venture to exponentially grow our overall audience reach and engagement across the GCC,” added Ahmad Bashour, General Manager, ITP Live. “We see the launch of VICE Arabia’s Snapchat Discover Channel as a crucial step in ensuring we can be true to our mission of being the authentic voice of Arab youth. Snap has done a phenomenal job in the MENA region in building a huge following among that generation so there’s a clear synergy in terms of our audiences. VICE has some of the most engaged Discover channels in other global markets and we believe we will have a similar impact here, given our content is all created by Arab youth for Arab youth,” noted Jason Leavy, Managing Director MENA, VICE.